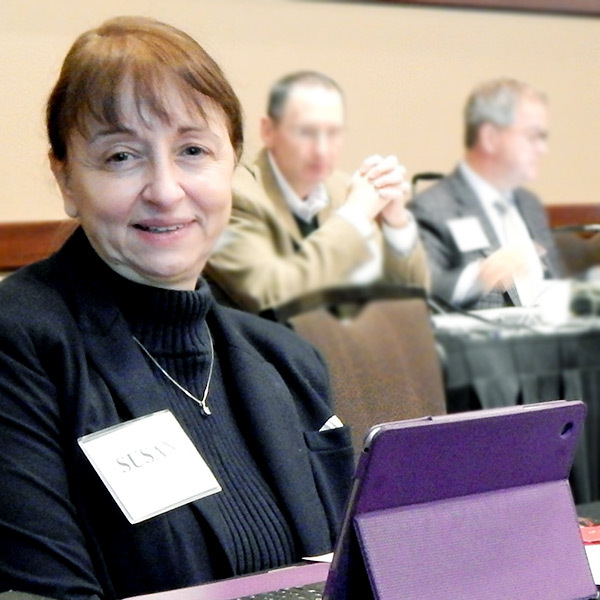 DFW AIRPORT, Texas — SPP’s Board of Directors on Tuesday approved a more than 8% reduction in the RTO’s administrative fee for 2019, although the fee is projected to rise again in 2020. The RTO’s Finance Committee based its recommendation for a 39.4 cents/MWh fee on a net revenue requirement (NRR) of $157.5 million next year, a $21.3 million reduction from prior estimates for 2019 and just $3.2 million more than 2018’s forecast. SPP is projecting a 4.4% increase next year in the billing determinants used to calculate the administrative fee and is also benefiting from a recent $10.7 million over-recovery. The administrative fee, which is collected under Schedule 1A of SPP’s Tariff on transmission contracts between transmission providers and customers, was 42.9 cents/MWh for 2018. “There’s no promise that the fee can stay [low],” said Director Bruce Scherr, the committee’s chair. Scherr said future affordability will be addressed as SPP moves into its next budgeting cycle. Board Chair Larry Altenbaumer said several times he would like to see an affordability task force created during the RTO’s January meeting. There was little discussion as the Finance Committee presented its recommendations for both the fee and SPP’s 2019 budget. The budget, also approved without opposition, includes $196.3 million in expenses, a 5.2% increase over 2018’s forecast but 2.9% below 2019’s prior estimates. SPP allocates the NRR to transmission customers based on their purchase of point-to-point (PtP) transmission service and/or network integrated transmission service (NITS). NITS customers are billed based on the prior year’s average monthly peak demand and represent approximately 90% of total annual billing determinants. PtP service is billed based on reserved hourly transmission capacity and represents about 8% of annual billing determinants. Monthly true-up assessments cover any unreported load not covered by NITS or PtP service. The NRR is expected to climb into the $180 million range by 2021, when a major computer system upgrade is planned. That would require an administrative fee of 45.2 cents/MWh. 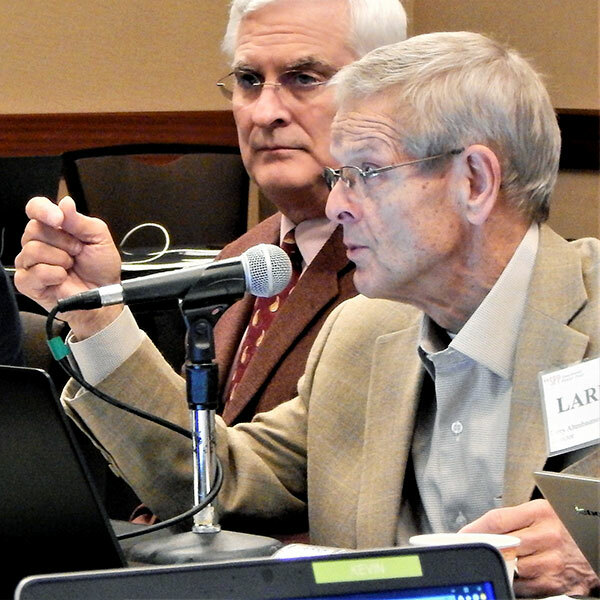 The board’s consent agenda reaffirmed chairs for nine stakeholder groups; approved an $8.9 million short-term reliability project; accepted the Oversight Committee’s recommended 2019 Industry Expert Pool (IEP) that will evaluate any competitive upgrade projects; and passed scope changes for various working groups, primarily removing references to the dissolved SPP Regional Entity and ensuring equal representation among transmission owners and transmission users. The reliability project includes a 5.6-mile, 161-kV line in the Kansas City, Mo., area that will address thermal overloads following several Kansas City Power & Light generation retirements. 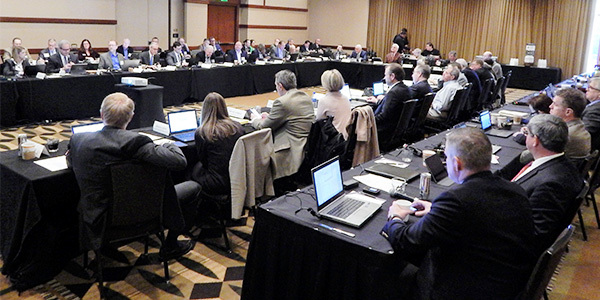 The 2019 IEP pool will include 13 holdovers from last year and adds two new members: SPP retiree John Mills and consultant Tip Goodwin. Mills is the first former SPP employee to serve on the panel. The panel did not consider any competitive projects in 2018. The consent agenda also included a board policy statement that will allow Markets and Operations Policy Committee-endorsed actions destined for FERC filings and not appealed by members to go through the regulatory process without further board approval.